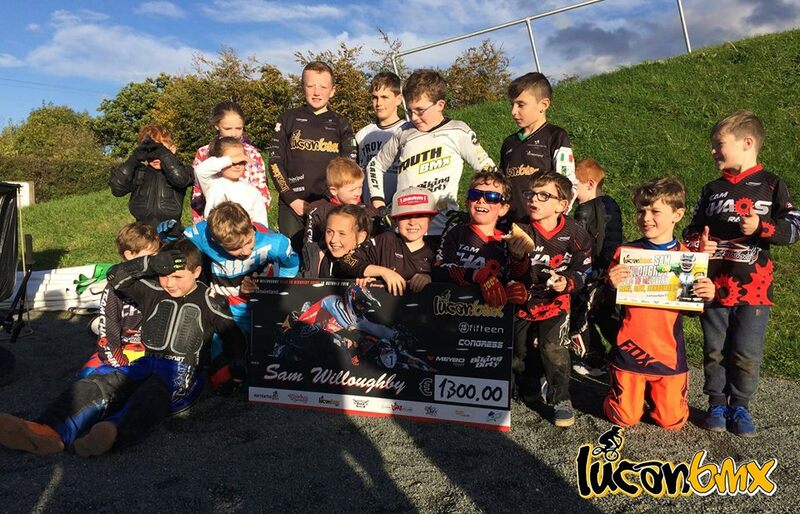 Well done to Lucan Bmx Club on there fundraiser for Sam Willoughby on Sunday 16th. here is the message from their Facebook page........ and here is some pictures. "Today we raised €1300 ($1430 approx) to help Sam Willoughby's fight to recover from his injury. A massive thanks to bikingdirty.com, Meybo Distribution Ireland and Stay Strong Ireland for their very kind product donations to the raffle which raised a lot of money and to Congress Print & Graphic Design for all the SW91 Certs. Remember to support the people who support BMX!! We've also got to thank all the selfless and hardworking Lucan BMX Club volunteers who put all this together with some help, of course, from the usual BMX crew, you know who they are. 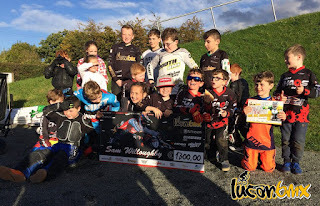 You can still donate money to Lucan BMX via PayPal ( send to info@lucanbmx.ie ) and we will included it in the payment to the Sam Willoughby fund early next week. Our PayPal has already started to light up! If you need any more encouragement to donate ... look at this video, it's tough going but the reason we were all were at the track today ."